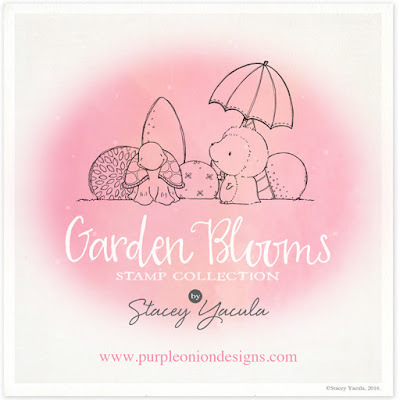 A new release of stamps from Stacey Yacula ~ Garden Blooms is now available at Purple Onion Designs store! There will be an introductory special set price for a limited time. The entire collection can be purchased for $90.00 until May 30th. Just head over here to see more details! There are 34 new images within a total of 25 stamps/sets. 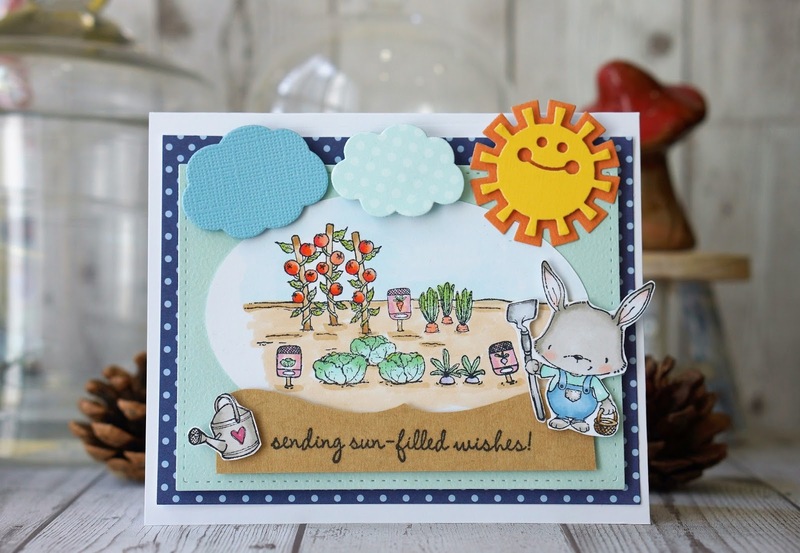 And if have not visited Purple Onion Designs blog or Stacey Yacula's page previously, here is the sneak peek of Petal and Milly at the garden! How adorable! I've always loved Stacey Yacula's stamps collection and I'm very fortunate to be able to create a few new cards for this new collection. The critters images in this new collection are totally adorable (just like all the critters in all her collections!) 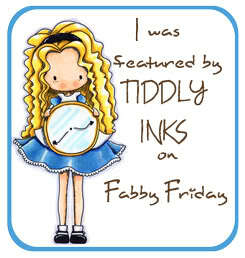 and they are very versatile to be incorporated in the past collections to create new cards/tags/projects. And to celebrate the new release of the stamp set, I share with you a card that I've create using 2 of the images from the Garden Blooms. Here is Riley Sending Sun~filled wishes. I really had a fun time colouring the Veggie Garden and having Riley to hold the shovel having a fun time waiting for harvest in the garden! 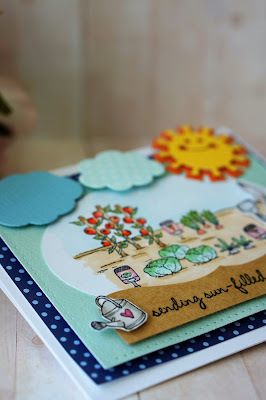 To add more fun to the card, I've used some die cuts from Sizzix Triplits Die Set 13PK - Hello Sunshine. The finishing touch ~ the cute watering can from Garden Set No.1. 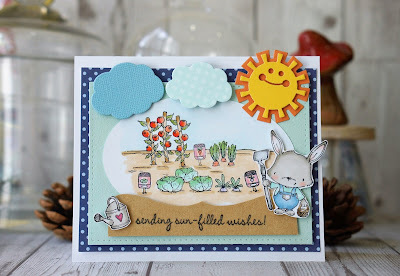 I really love the watering can! If you haven't notice, the sentiment is from the past collection ~ Sweet Summer sentiment set. Like we have mentioned earlier, Garden Blooms is a versatile stamp set that you can use it for almost all occasions! 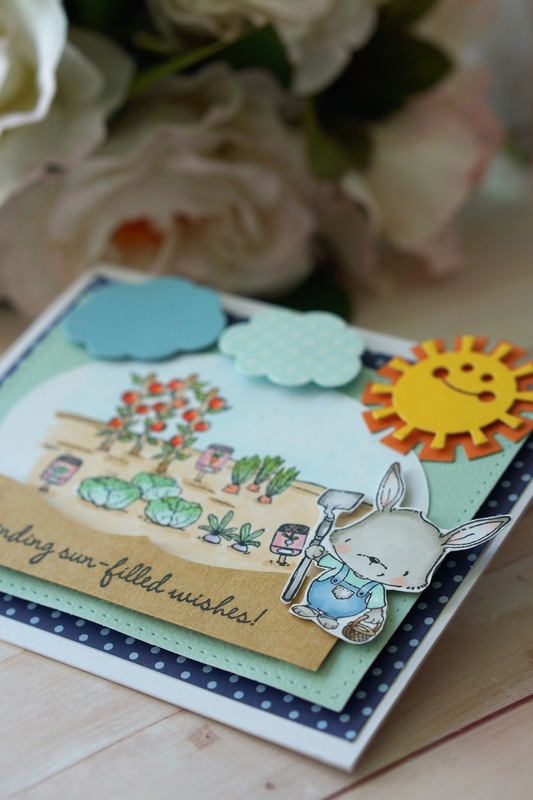 For the next few days, I'll be sharing other new cards and projects that I've created using Garden Blooms. 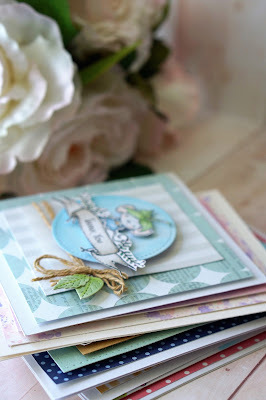 Be sure to check back (: Meanwhile I hope you will be inspired with the cards/projects by the rest of the members of the Design Team at Purple Onion Designs! Stay calm and keep stamping! I am not that creative but just started making cards. 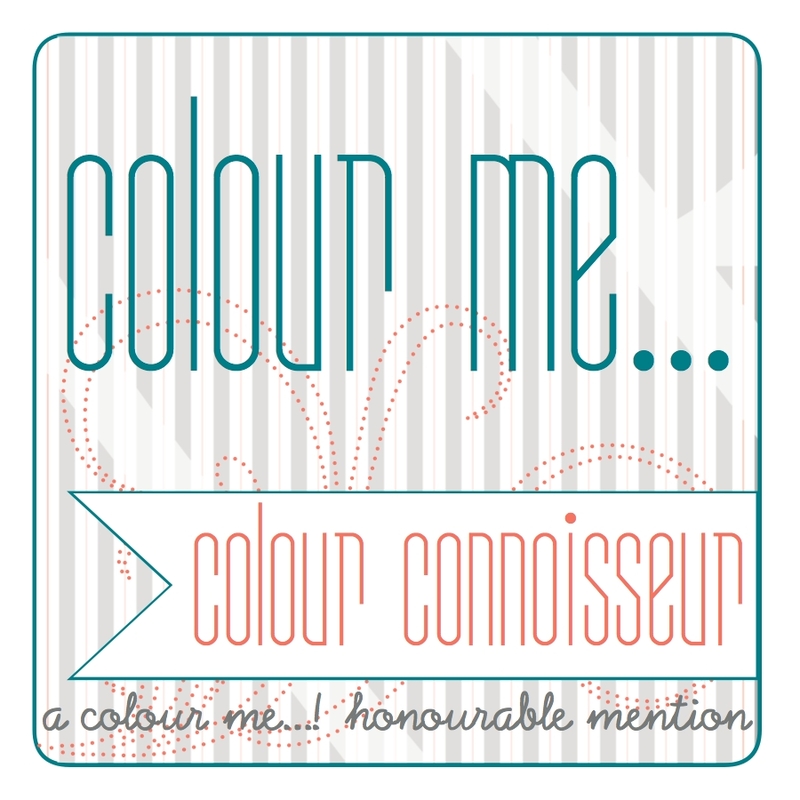 Getting ideas from experienced people like you is truly wonderful. Currently searching for a Chicago event space for my party. Really want something good but can’t afford to spend a lot.